African countries are becoming more open to each other; 2018 Africa Visa Openness Report shows. 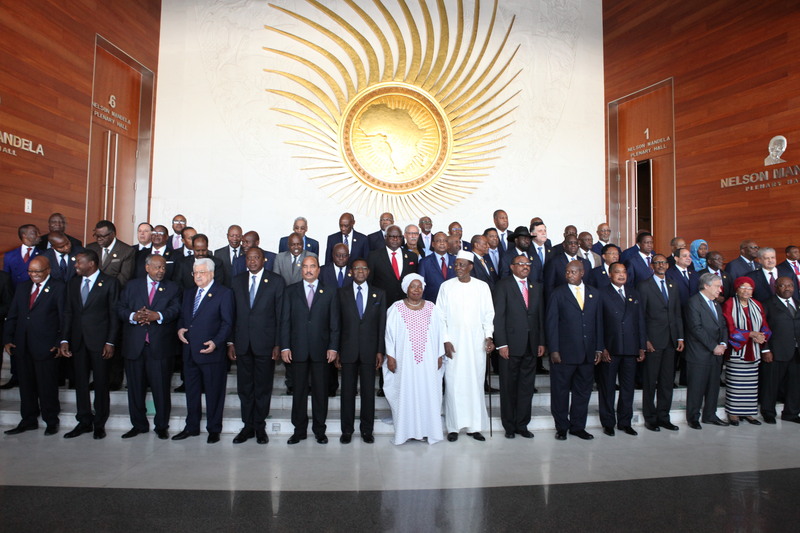 November 28, 2018, African Union Headquarters - 2018 was a landmark chapter in Africa's regional integration efforts. The launch of the African Continental Free Trade Area and the Single African Air Transport Market are major milestones in the creation of a regulatory environment that promotes air connectivity and makes it faster, less expensive and easier for Africans to travel within Africa. In this 3rd edition of the Africa Visa Openness Index Report 2018 published by the African Development Bank and the Africa Union Commission, the findings shows that on average, African countries are becoming more open to each other. The top 20 most visa-open countries continue to improve their average score, reflecting the countries' more liberal visa policies. In addition, 43 countries improved or maintained their score. Benin made the most progress in opening up its borders to African travellers, moving from 27th place in the 2017 edition to 1st place in the 2018 report. Zimbabwe also broke into the top 20 with the introduction of a visa-on-arrival policy for SADC members. Overall, when compared to 2017, Africans do not need a visa to travel to 25% of other African countries (up from 22%); can get visas on arrival in 24% of other African countries (same as last year); and need visas to travel to 51% of other African countries (down from 54%). "Regional integration and trade based upon the free movement of persons, goods, services and capital is at the core of the business of the African Development Bank"
However, the fact that Africans still require visas to travel to just over half of other African countries shows that more progress is needed to realise free movement of people continent-wide. As infrastructure expands across Africa, and tangible trade and investment opportunities are put on the table, Africans will need to travel with greater ease. Solutions such as the African passport, visa-free regional blocs, multi-year visas, or visa-on-arrival schemes should continue to be promoted. "Looking at the recent development this year, such as the announcement by Ethiopia, Africa's diplomatic capital, on the establishment of a visa-on-arrival regime for all African passport holders, Africa is indeed on an upward trajectory towards seamless borders and the free movement of its people. Commendable work has also gone into the actual roll-out of the African passport to the citizenry." Amb. Kwesi Quartey, Deputy Chairperson of the African Union Commission. The Visa Openness Index assesses the progress African countries have realized in relaxing their visa regimes. Analysis go into the visa requirements set by each member state of the African Union for other member states seeking to enter their borders. The report aims to show at a glance which countries are facilitating travel for citizens of other African countries and how; whether they allow people to travel to their country without a visa; if travellers can get a visa on arrival in the country; or if visitors need to get a visa before travel.